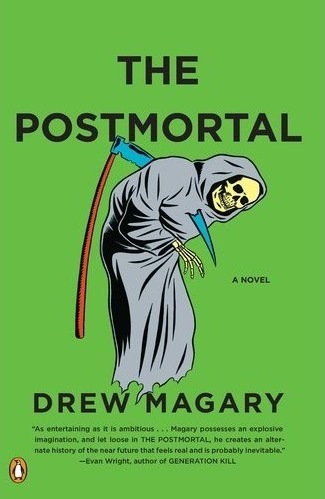 In keeping with my recent forays into near future dystopian literature comes The Postmortal, a fascinating account of a 21st Century in which humanity has eliminated aging. This story is all about being careful what you wish for; almost from the moment humanity unleashes nigh-immortality it spends the rest of the story trying to cram it back into Pandora’s Box. Humanity doesn’t become one iota superior for having shaken off the reaper: immortals keep pumping out kids on autopilot, the new mankind-worshipping religion comes off as equally totalitarian as the afterlife salesmen it supplanted, and the internet trolls have painted themselves green and run out into the real world to maim and murder. In this world of total overpopulation and self-absorption, it takes no great imagination to predict that the forever business would soon change back to the death business. The story’s lead, a former estate lawyer named John Farrell, eventually falls into the death business, getting his feet wet as a euthanasia assistant (known in oh so customer service terms as End Specialists). As the world continues to slide due to people’s stubborn refusals to die and/or stop multiplying, Farrell and the rest of the Kevorkians find themselves upgraded to government-sponsored public hitmen, charged with taking out the elderly and undesirable. But that’s only the latter half of the story ‒ and honestly, it’s the least compelling half. Mostly, that’s because the most fun in The Postmortal comes in watching Drew Magary describe the minutiae of the brave new world through Farrell’s journals. Our hero ponders such ideas as the decline and transformation of marriage in a world where “to death do you part” has no meaning, the end of retirement and Social Security, immortality’s effect on crime and punishment, the fading of personal goals to work towards, and the strong possibility that almost nobody is really prepared to face up to the massive personal responsibilities involved in existing forever. I like John Farrell as a character, though his narrative is way too full circle as old flames tend to neatly pop out of nowhere to replace new voids in his life. 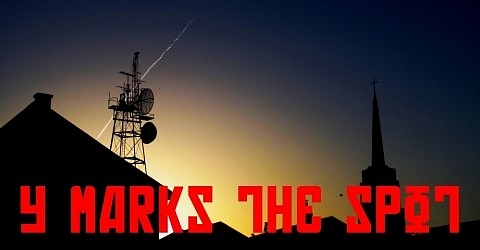 He’s an intelligently written cipher through which the reader gets to look into a fantastically terrifying future. That’s said, his philosophies and sociology are much more gripping than his life. As Magary’s big world-building gives way to the desperate living within that world, a bit of that fascination fades and is replaced by horror. Within the dystopia lit I’ve read recently, I’ve found that I like the big-picture approach, on display in Albert Brooks’ 2030, over the sort of Player One solipsism seen in Gary Shteyngart’s Super Sad True Love Story. The Postmortal occupies a strong middle ground between the two, moving from Brooks’ style to Shteyngart’s, from sociology to the surreal. Beyond my reservations on building a story of immortality around a guy who seems unable to move forward ‒ and maybe that’s the point ‒ this story of the end of the end is really magnificent.